Welcome to Four Paws Dog Grooming. 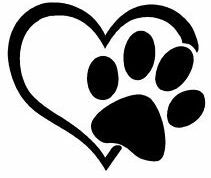 I have been established in North Sompting since March 2004, and I am a highly respected, well-known dog groomer, with over 20 years experience. I am fully qualified with a City & Guilds Level 3 Diploma for Professional Dog Stylists, and also fully insured. My purpose built salon is based within my home and is a bright, calm and safe environment. Not to mention your dogs will have a lovely view of my garden whilst they are on my grooming table, with often cats, birds and squirrels to watch! I offer grooming on a one-to-one basis, working with only your dog, or dogs, at any one time. If you have more than one dog, you can decide whether you would like to bring them together or separately. If you would like to see any photos of the dogs I have groomed, then please visit my Facebook, Twitter or Instagram pages. It’s a special day today! It’s Four Paws’ 15th birthday!!! That’s quite a landmark!! And I still groom a couple of unbelievably special dogs who have been with me from the very beginning 💕 Thank you to all my customers for your continued support over the years. I couldn’t do it without you! Here’s to … Continue reading Happy Birthday to me! !